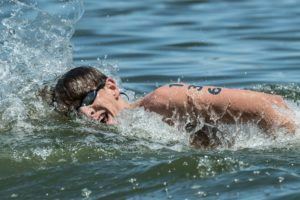 Michael Brinegar was one of four Americans who punched their ticket to Pan Pacs on Thursday in France. 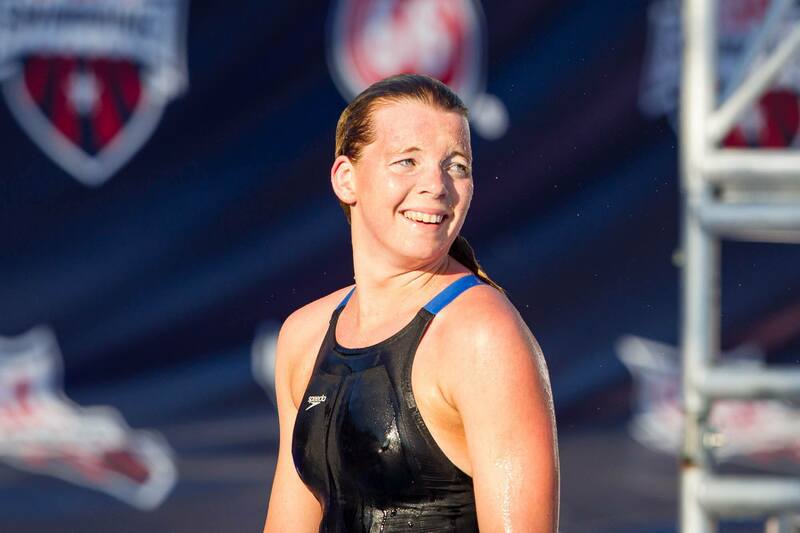 Born March 4, 1994 in Long Beach, Calif., Katy Campbell is an American distance swimmer. 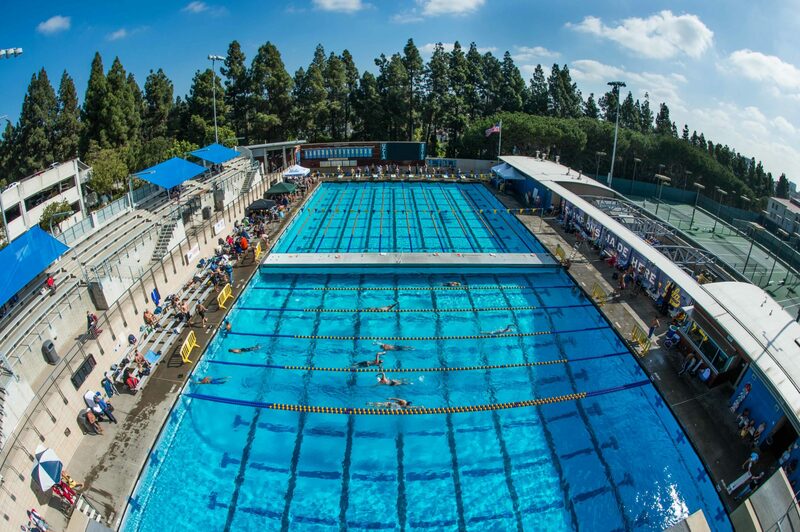 Campbell grew up in La Cañada, where she competed for Swim Pasadena in Southern California. Born to parents, Meg and Frank Campbell, she has two sisters, Sammi and Christina, and one brother, Alex. Campbell graduated from La Cañada High, where she was a five-time CIF champion. 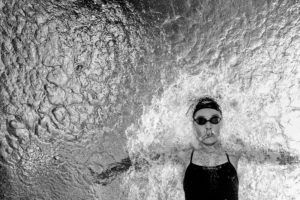 Throughout her career she broke four school records in the 200 and 500 freestyles, and two relays. She was also a three-time Rio Honda League Champion and league record holder in 200 and 500 free, and was her team’s four-time MVP. In 2010 she was the junior national champion in both the 200 and 500 freestyles, and is still the last Swim Pasadena swimmer to do so. In 2012 she also qualified for the U.S. Olympic Trials in the 400-meter free. Out of high school Campbell chose to stay close to home and attend UCLA. As a Bruin, Campbell improved the Bruin’s distance squad immediately. The sociology major didn’t make the NCAA Championships as a freshman, but she did made an impact on the conference level. At the 2013 Pac-12 Championships Campbell was ninth in the mile and finished 23rd in the 200 freestyle. During her sophomore season at UCLA Campbell set a new school record in the 500 free at the Pac-12 Championships, and finished third in the mile, which was also in a new school record time. She qualified for the NCAA Championships, finishing 19th overall in the mile and 34th in the 500 free. In the 2014-2015 season, Campbell was competing as a junior. 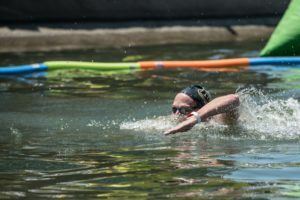 She finished 13th in the mile, and she also competed in the 200 and 500 free events. 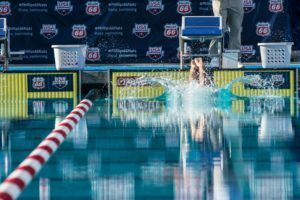 In summer 2014 Campbell became the first UCLA national champion in 10 years when she won the 1,500-meter freestyle at the 2014 Phillips 66 National Championships. Her performance got her a spot on the U.S. National Team set to compete in Kazan during the 2015 World Championships.